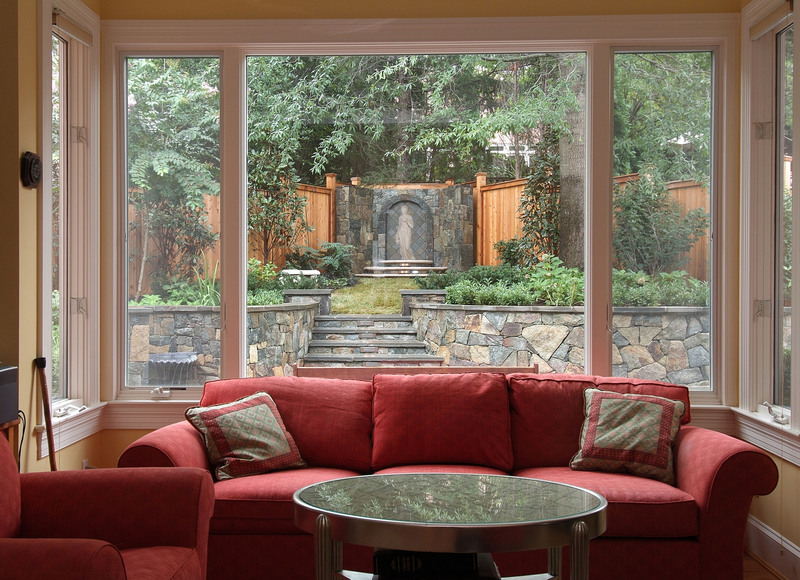 What is your seasonal window view…? The view to the outside changes dramatically through the seasons. Are your views taking advantage of what Mother Nature offers every year…? Extend your residence from the interior to the exterior by properly taking advantage of your viewsheds. A landscape does not always need to be experienced by exposing oneself to the elements but can be enjoyed through lovely framed “views” from your cozy interior. Add a focal point , perhaps some lighting, and your views can give you something to look forward to during the short winter days. 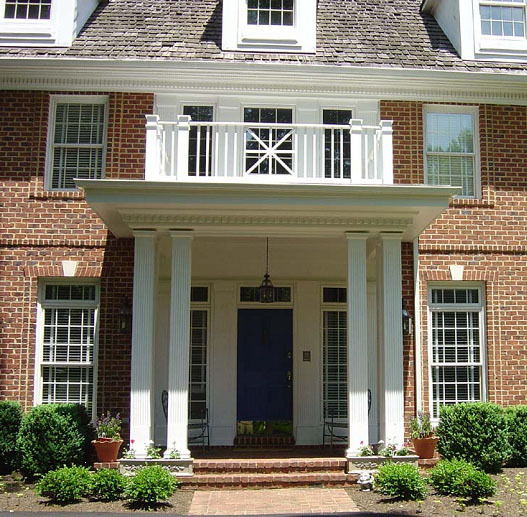 Porticoes historically have been used in architecture to define an entry, create an area of welcoming and gathering, and of course protection from the elements: SNOW, rain, and sun! Email us now to set up a consultation. A ‘1000-year’ storm event is certainly the true test of the capability of a home drainage system. Yeah, yeah “it was a freak event” yet we have had 4 ‘freak’ events in the last 6 years and it only takes 1 to add thousands of dollars in repairs or, at least, raise your insurance premiums. Even a trickle of water in a finished basement space can ruin flooring, drywall and furnishings and feed deadly molds. Not surprisingly, most of the damage I’ve seen, in regards to drainage, was caused by the neglect of common sense principals. 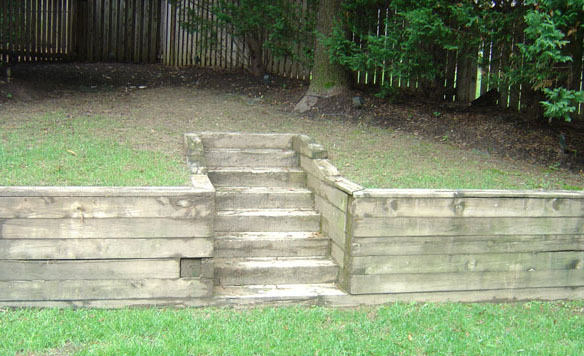 Drainage is one of the most important elements of a sound foundation and so, truly, the most cost effective preventative you can implement. 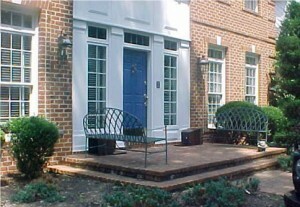 Preferably, the builder was diligent when your home was constructed. 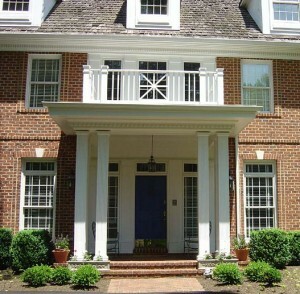 If your home was built in the 80’s you can cross that diligence off the list. Faulty foundation drainage may not be evident until after the home warranty has expired or until a storm ‘event’…more on this in a future blog. 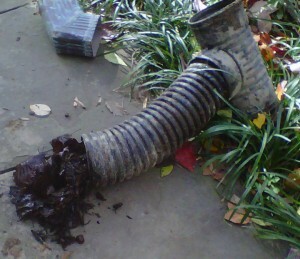 It is curious to me how homeowner’s will trust their maintenance crew for resolving drainage issues. Asking a mowing and mulching crew landscape design questions can be detrimental but relying on them for drainage correction has cost thousands in repairs. The most cost effective job a maintenance crew should implement is gutter cleaning. That said; I was on a project earlier this year where the client had had her maintenance company clean her gutters regularly. Unfortunately, they cleaned only the gutters and so the bases of the downspouts were filled 4’ deep with decomposing compacted debris. All this water had been overflowing the corrugated underground piping connections and directly into the foundation walls of the house. Since the homeowner traveled often, she was unaware of the increasing mold growth until the basement flooded completely forcing her to remove furnishings and storage boxes from the basement thereby exposing the years of infiltration and deadly effects. The cost was in the thousands in remediation, repairs and hotel expenses, as the odor and mold spores prevented her remaining in her home. Piping any downspouts underground for more than 10’ should exclude the use of any interior corrugated pipe. Corrugated piping is the black ridged piping you can easily pick up at any hardware store for about 45 cents a foot. 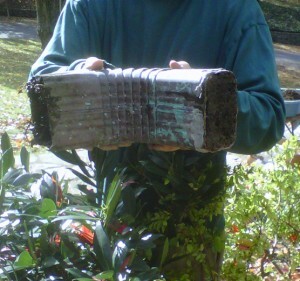 The ridges trap debris leading to water back-up which can freeze and settle the pipe causing even more back-ups. There is a smooth interior walled black corrugated pipe (N12) or a number of PVC and SDR smooth walled pipes available depending on whether they will be directed under sidewalks, driveways or just soils. Confirmation of the above would be visible signs of spillage on the ground level and possible infiltration of water into the house. Chances are if your gutters have been overflowing for some time, your foundation has settled causing even direct rain water to collect and filter into your foundation. The next time it rains, go outside with an umbrella and look up.